The loss of a loved one due to the negligence of another is a devastating event. Accidents that lead to death leave families distraught, angry, and lost. Families are forced to face the painful questions around future financial support, high medical bills, and funeral costs. 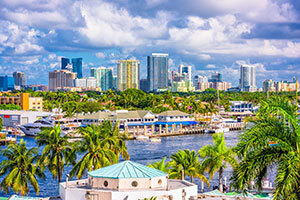 Located on the east coast of Florida, Fort Lauderdale is best known for its beaches and warm weather. Bringing in over 16 million tourists each year, Fort Lauderdale is a thriving city filled with restaurants and shopping centers. Approximately 180,000 residents call Fort Lauderdale home. It is a large city that borders Dania Beach, Hollywood, Tamarac, Oakland Park, North Lauderdale, Davie, Wilton Manors, Pompano Beach, Lauderdale by the Sea, Sea Ranch Lakes, Plantation, Lauderhill, and Lauderdale Lakes. Fort Lauderdale sees millions of tourists and residents in its city each year. Large influxes of people can cause traffic accidents. Fort Lauderdale has a combination of upper, middle, and lower income neighborhoods. This income disparity can motivate criminal activity, such as robberies and shootings. Alcohol and drugs may also be the root cause of traffic accidents and criminal activity. Large numbers of businesses, restaurants, and retail establishments can also pose an increased risk for slip, trip, and fall accidents. All these factors can contribute to accidents resulting in death. In some cases, Florida law recognizes that some person or corporation can and should be held accountable for the wrongful death of a person. That is why it is important for the family and survivors to consult with the best Fort Lauderdale wrongful death attorney they can call. 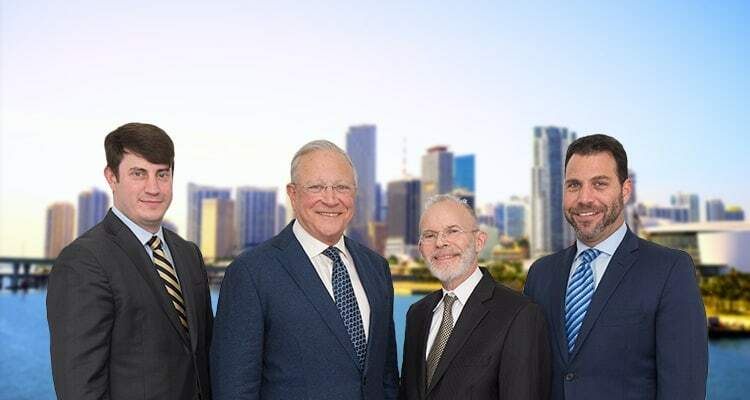 Our Fort Lauderdale wrongful death attorneys have helped families that are impacted by negligence, which resulted in the death of a loved one. Our attorneys can address the questions that a grieving family may have. Families who have lost the main income provider may be struggling to make ends meet. They often question how they will pay for any medical treatment and funeral costs. They ask if they are eligible to file a wrongful death suit. We can answer your questions and help you through the process. Call the Fort Lauderdale wrongful death attorneys at Gerson & Schwartz at (305) 371-6000 for a free consultation. Losing a loved one is a painful and life-altering event. Wrongful death lawsuits help to ensure that your family has the financial means that you need to survive in the wake of the loss of a loved one. You don’t need to navigate through this process alone. If your family has been impacted by the death of a loved one that is the result of negligence, contact our Fort Lauderdale wrongful death lawyers at (305) 371-6000. We are here and we can help.